It is the last chance to see Wanderlust. 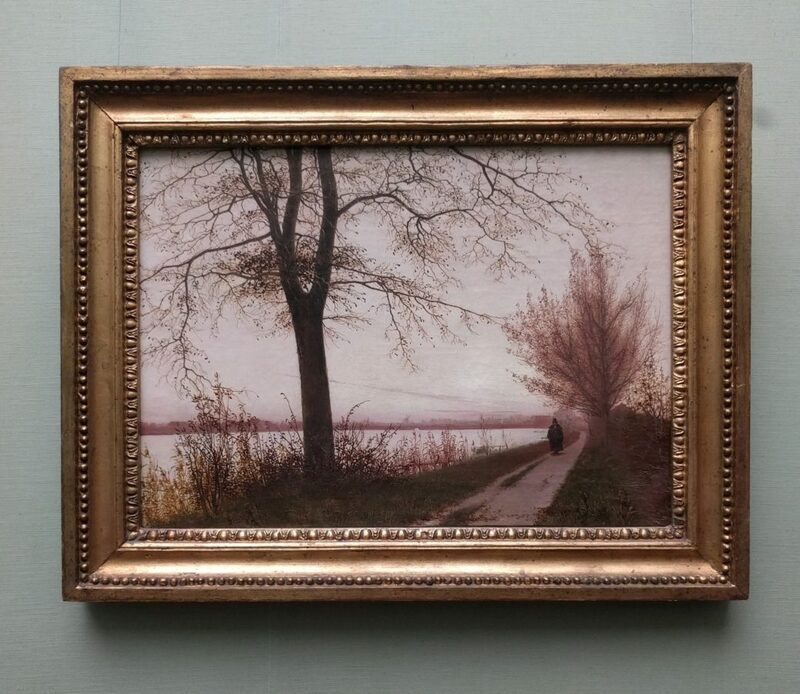 From Caspar David Friedrich to Auguste Renoir – an exhibition on travel desire in the Old National Gallery in Berlin. 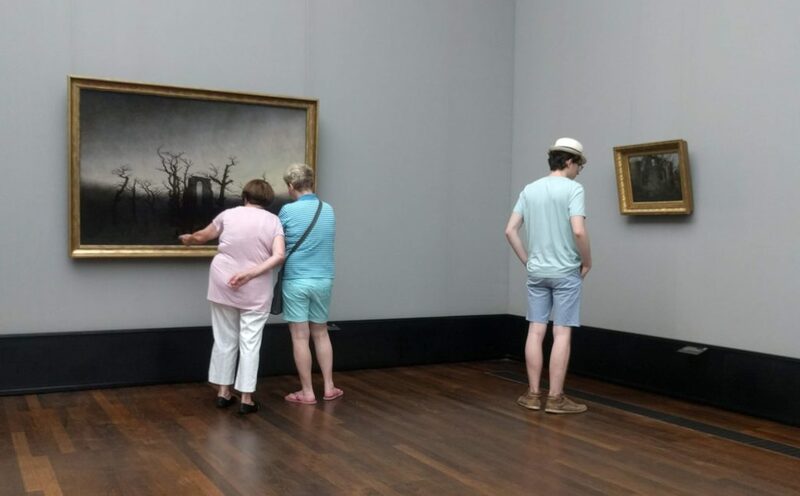 If you happen to be in the German capital this weekend, take some time out and go to the museum as it is definitely worth it. Especially if you love to travel or hike, or if you are a fan of Caspar David Friedrich, or your favourite genre is landscape. If you like all of these – Wanderlust is a must for you. 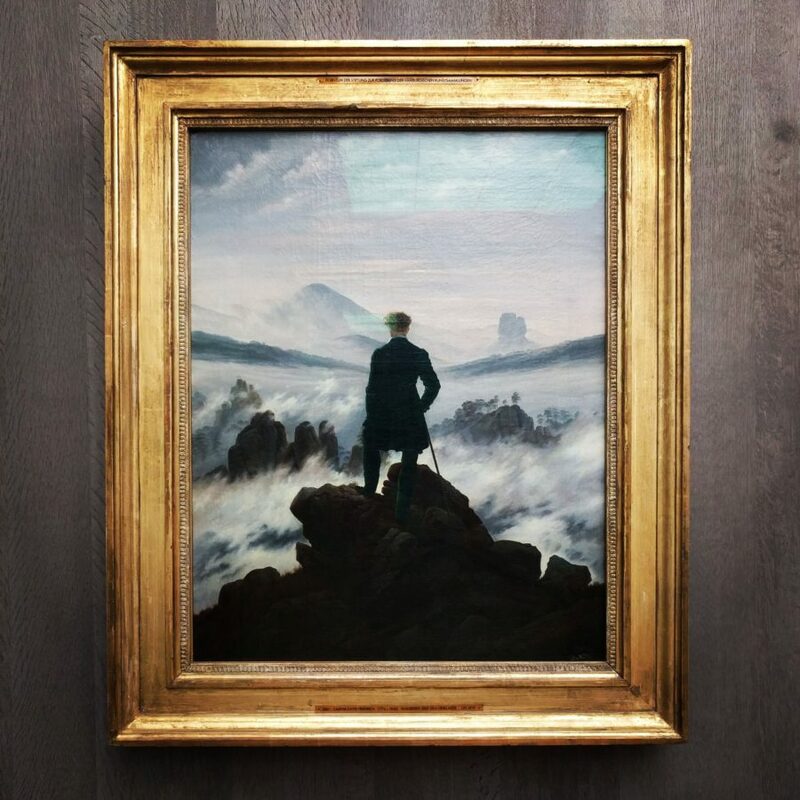 The exhibition’s idea started with a thought that if one thinks about wandering and art, the first painting that comes to mind is most probably the famous Friedrich’s Wanderer above the Sea of Fog. 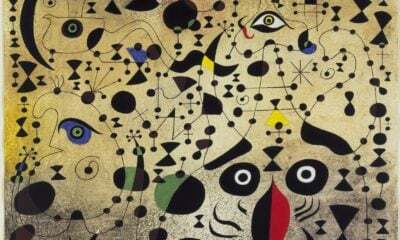 The masterpiece from the Hamburger Kunsthalle is obviously present in the show but it is by no means the only highlight. Walking through the exhibition rooms is like going for a journey through space and time. One of the first sections is dedicated to Italy as it was the most popular destination of mass travel already in the 18th century when young European gentlemen were setting off for their Grand Tour. 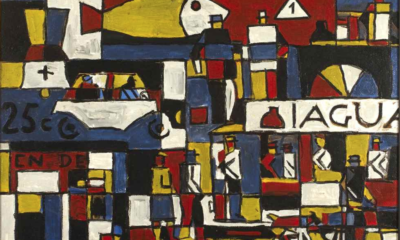 First they focused mostly on historic cities like Rome or Naples, later they became interested also in smaller towns and the charm of nature and Italian light. Many landscape paintings that come from that century served as souvenirs or ‘postcards’. The ‘re-discovery’ of the beauties and delights that the natural world offered gave a beginning to the eponymous Wanderlust. Being alone at the bosom of nature is the main subject of Caspar David Friedrich’s romantic paintings. 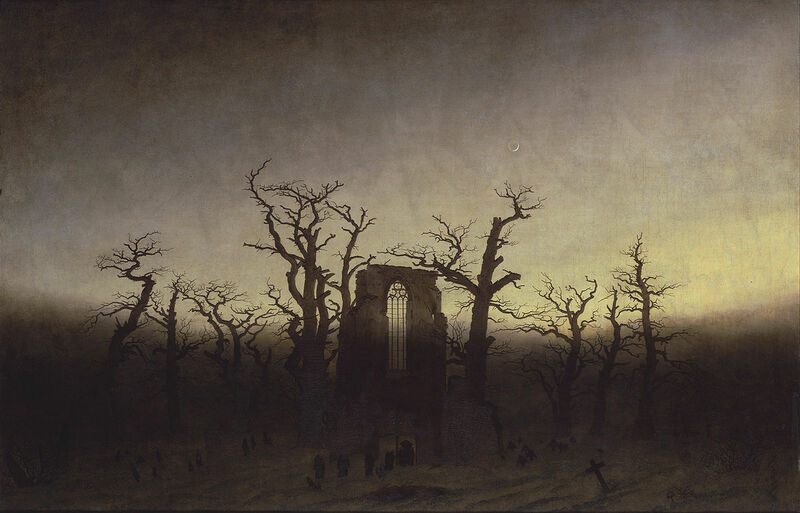 The curators gathered such masterpieces as the Wanderer…, the Abbey in the Oakwood, Moon Rising over the Sea and Monk by the Sea (actually it’s like a half of his most famous works). 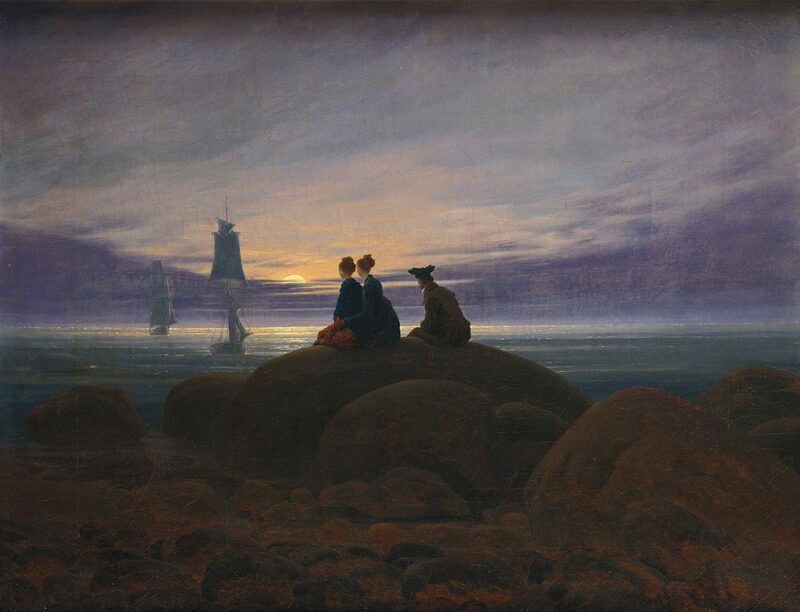 Friedrich was able to capture the elusive mood of a moment and translate it into the pictorial language. 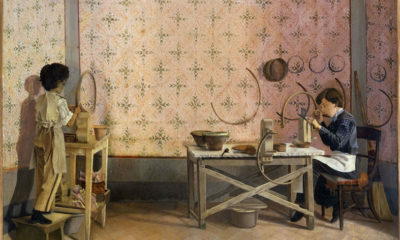 One can spend hours watching his painting, or rather contemplating it. 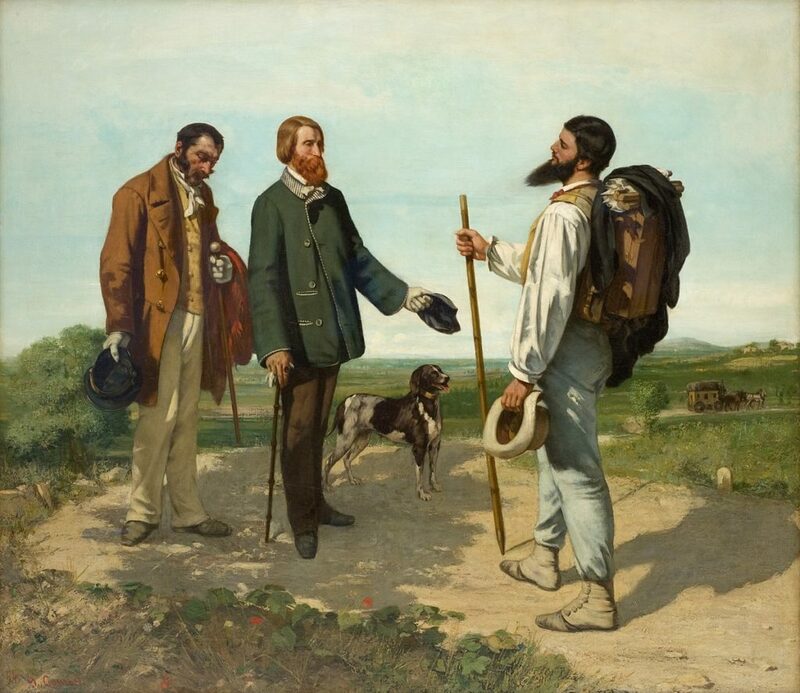 Another highlight of the exhibition is Bonjour Monsieur Courbet, the famous self-portrait of the French master while hiking. Gustave Courbet wasn’t the only painter who loved to hike, and the curators managed to find a few more depictions of artists working outdoors – making sketches or just wandering with their painting utensils. The South-bound fascination with nature found a fertile ground also in the North. During the 19th century plenty of landscapes were painted on the Northern side of the Alps, matching the melancholic nature of the Northern people. Depictions of moody flatlands at the North and Baltic Sea fill many German and Danish museums and have a fair representation at the Wanderlust exhibition. Soon the lonely hiking became a more social activity and this transformation is mirrored by the development of the landscape genre – the promenades and walks were painted by the great and small. 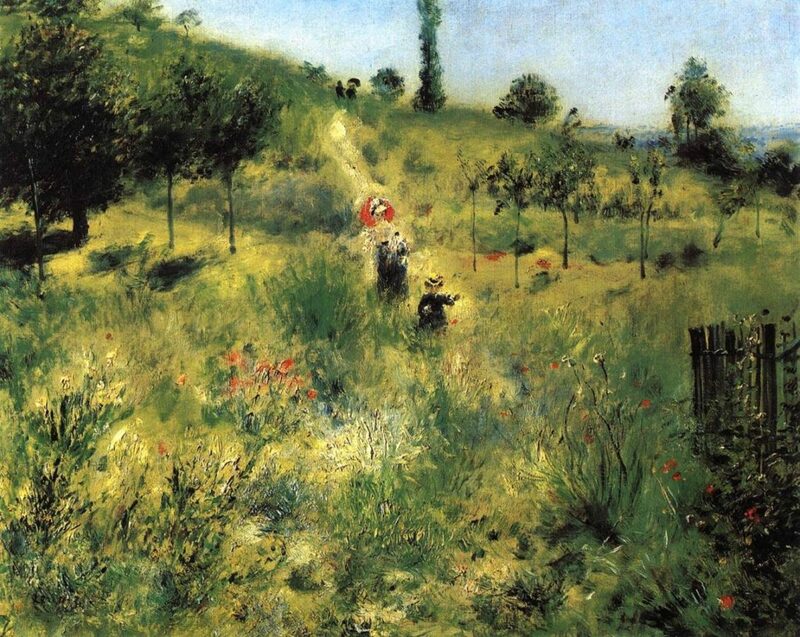 The most prominent example shown at the exhibition is Path Leading through Tall Grass by Pierre-Auguste Renoir. Wandering can literally mean walking but it can also be understood in a more metaphorical way as a journey through life – Lebensreise. 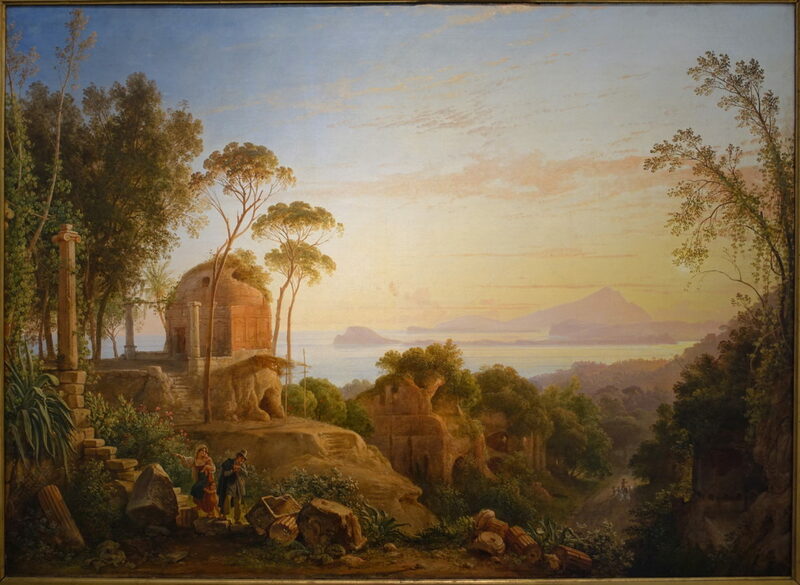 On the first gaze many of the shown landscapes may seem mere depictions of pleasant views but there are a lot more meanings coded in them. 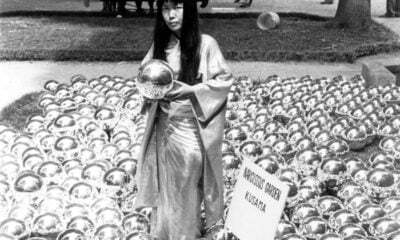 They are often metaphors of evanescence, changing stages of life or of a relationship between an individual and the universe. 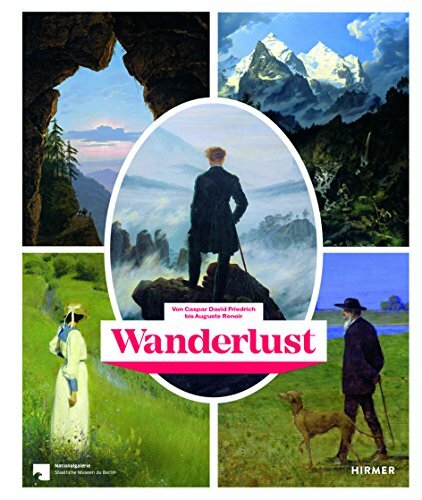 Wanderlust is a German idea (and one of not so many German linguistic imports to the English tongue) but having been eulogized by Caspar David Friedrich, Friedrich Schinkel, and Johann Wolfgang von Goethe, it crossed the borders of German-speaking countries and the romantic desire of wandering became popular all over Europe which is clearly shown at the Berlin exhibition.